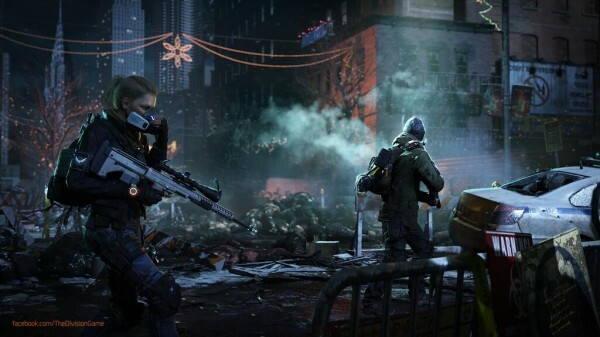 A brand new screen for Massive Entertainment’s upcoming open-world shooter, The Division, surfaces, this time offering a look at something new. Departing from some of the more mundane teases, this new screen shows off The Division’s female character model fully equipped and ready for action. You can see she’s wielding a pretty badass sniper rifle that shares a very similar design to the real life SRS .388 Sniper Rifle. She’s also wearing some sort of breathing mask to keep those lethal gasses out of her system, though we think it’s just ’cause the guy in front of her just ate something bad. But, hey. You got to take what you can get to survive in The Division’s post-apocalyptic world. Stay tuned for more on The Division.